I spent yesterday on Memory Lane. Technically, they call it Fremont Street. Actually, the nostalgia kicked in before I even left the Strip. Waiting around for a poker cohort to show up, I slipped twenty bucks into the “Golden Pearl” slot machine. I haven’t played a novelty slot machine for years. I didn’t even know how big the bets were on this one, I just picked the nearest device to kill time; turned out to be a 1c machine. As the lights flicked on, wheels spun and random pictures of fish and seahorses whirred and stopped in hypnotic rhythm, I was back in the summer of 2003, addictively playing the I C Bears machine downtown with JQ and The Sweep. God, that was a good summer. Readers of my book will know that I was twisted enough to be nostalgic even at the time because I knew how wistfully I’d look back on it. And here I was, eight years later, looking back. This time, alone on the Golden Pearl, wahey, I hit the wild clam bonus. Lord knows what the Sweep’s filthy mind would have done with that. All I’ll say is: not bad for a 1c machine. 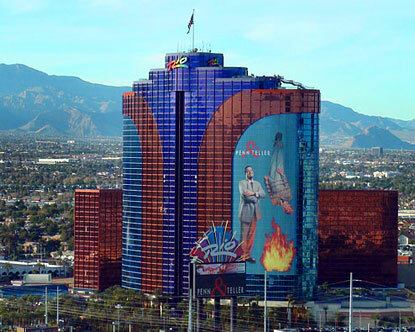 Never mind taxis up and down the Strip between the Rio and wherever you’re staying, queues and traffic, desperately calculating whether you can do the round trip back to your hotel to get a jumper in the dinner break and still have time to eat; back then, you just stayed at the Golden Nugget. How hard was it to get from there to the tournament? About this hard. Wandering up and down yesterday, it was all still there. The unique sociological mix. The skilled entertainers. (I love that guy, by the way. Not sure I’d like the act, but I love him for doing it). Only things missing were JQ and The Sweep, too grown-up and busy to make it out here. I tell you, I was fair drowning in nostalgia - and sadness that it all moved uptown. I know Binions was too small after poker went crazy, I know it was. 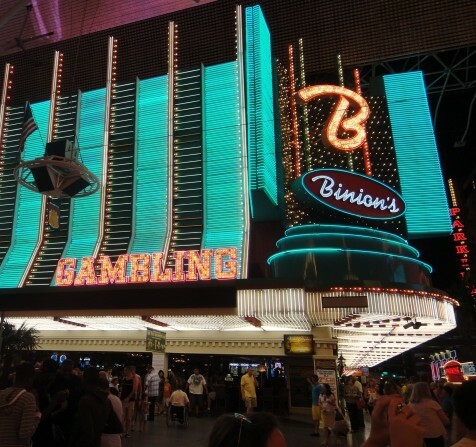 But how cool would it have been to just open the Series up to several card rooms along Fremont Street - play it out in the Nugget and the Four Queens as well, popping in and out of casinos two doors from each other when tables broke, shrinking back into Binions as the field reduced? My brother told me once, as he snarled about some handy modern item that he despises (an electric carving knife, or possibly a wheely suitcase) that people must strive to avoid putting convenience above style. Otherwise we’ll be left with nothing but tracksuits and giant Tescos. By his rules, you would create multiple Series action along Fremont Street a million times before you packed it all into that giant bright-white aircraft hanger at the Rio. Not to be too down on the new world, though. Some people say there’s no romance left in poker, no characters, no humour. A kid I met in a WSoP event disproved that by making me laugh more than anyone else has so far this trip. It was the sharpness of his arid sarcasm that got me; it was nearly as good as having The Sweep here in person. This was just after a “bracelet ceremony”: these days, when someone has won an event in the Series, they hold a ceremony the next day where the winner is handed his (or her) winning bracelet and the relevant national anthem is played. It’s usually a double-bracelet-giving, and this one began with Owais Ahmed, winner of the $2500 mixed hi-lo tournament. The announcer explained that the national anthem of Pakistan was about to be played at the Series for the very first time. Immediately, of course, I had a lump in my throat, which built as the anthem filled the room. Next up was Kenneth Griffin, a soldier and amateur poker player who’d managed to win a $1000 Holdem event while on leave from Afghanistan. So, when they played the Star-Spangled Banner, he put his hand on his heart as veterans do. Well, that just about killed me; when it finished, I sat back down for my event in floods of tears. Wow, this blog is something else! Something really special. You really pour out your heart and soul. Perhaps, it’s necessary to read your book before it can be fully appreciated, but it is clear that this place and the memories mean a lot to you. 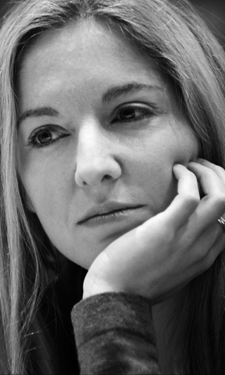 When the question “who is Victoria Coren?” is asked in future, a good response would be to suggest reading this blog. Your humanity, perceptiveness, thoughtfulness, humour (and love of gambling) are all there. God bless you Victoria, and thank you for sharing this. Oh Victoria <3 - Your words constantly make me feel all mesmerized in a romantic way and I find myself sighing like an older lady in love. And I am neither of those things. Something tells me I am way too empathic. Five armadillos! That was it! Of course! Ooh, I can just see their scaly, lucrative little faces now. Of course he’d be back for the ceremony! Great blog - keep it up! I’m loving the slightly blurred pictures! Hello,I wanted to thank you so VERY much for this list of places in Vegas for a photoshoot. I come from Oregon and it’s quite beautiful every where you go. Def a difference here with dirt and rock. I was struggling to find a place to bring my own props instead of the same old boring shoots at JCP. We have chosen the Orchid and another friend upon sharing this info has booked the neon for their engagement photos. Thank you!! !